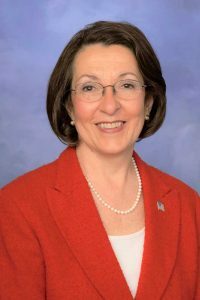 Representative Becky Corbin (R-East Brandywine) Tuesday applauded the Department of Environment Protection (DEP) for developing a grant program with the $12.6-million fine assessed against Sunoco in February for permit violations during construction of Mariner East 2. The grant program, which will open on May 7, will fund projects that reduce or minimize pollution and protect clean water in the 85 municipalities that the pipeline traverses. Those eligible to apply include the 85 municipalities, county conservation districts, incorporated watershed associations, educational institutions, and nonprofit organizations along the length of the pipeline. More information about the grant is available at http://www.dep.pa.gov/Citizens/GrantsLoansRebates/Pages/Water-Quality-Projects-Along-ME2-Pipeline.aspx. DEP continues to monitor construction of the pipeline. Anyone who witnesses pollution from the pipeline affecting streams or other waterways is encouraged to contact DEP at 1-800-541-2050. The 155th District consists of the following municipalities: West Brandywine, East Brandywine, Uwchlan, Upper Uwchlan, West Vincent, East Pikeland, Spring City, and part of Phoenixville.